Time to sell your Ocean Echo condo? Read about today's resort-market condo buyer. 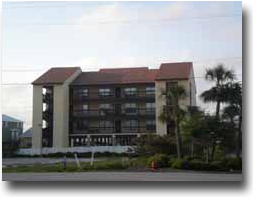 Ocean Echo is located in central Gulf Shores on the north side of Beach Boulevard, approximately one-quarter of a mile east of the intersection of Highway 59 and Beach Boulevard. Ocean Echo is comprised of nine condos built in 1987. The units are two-bedrooms at around 900 to 1,000 square feet. Ocean Echo is within walking distance to many of the downtown area attractions like the Gulf Shores Hangout, public beaches, and various restaurants and shopping venues. Please let us know if you would like further info for Ocean Echo or any other condos, homes, or real estate along the Gulf Coast or would like to schedule a private viewing by emailing info@condoinvestment.com or by calling (251) Area-Pro (251-273-2776) for immediate assistance.